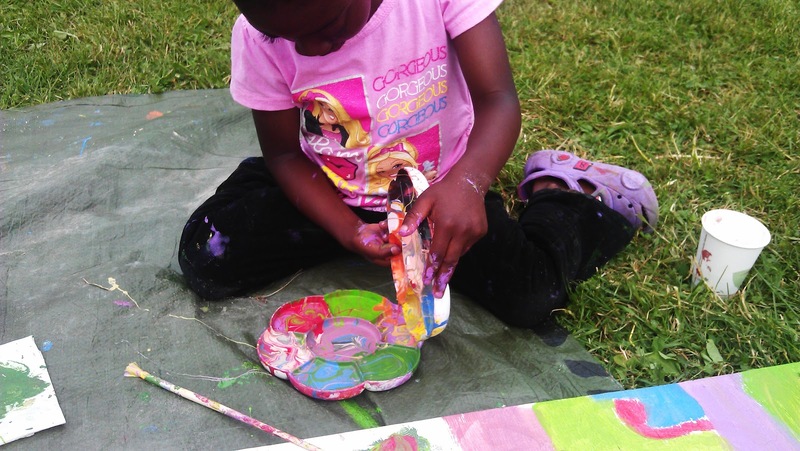 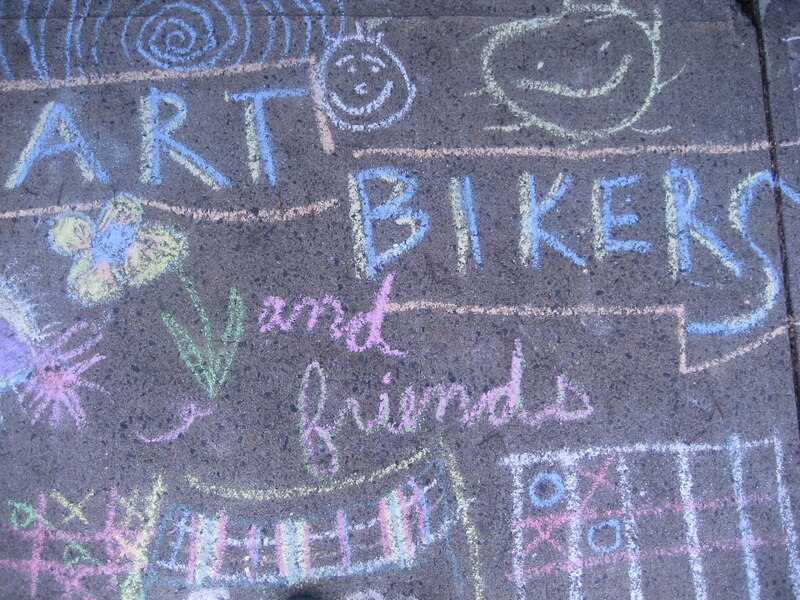 On June 20th, the Art Bikers went to the North End Community Garden to participate in their Hope Blooms community festival. 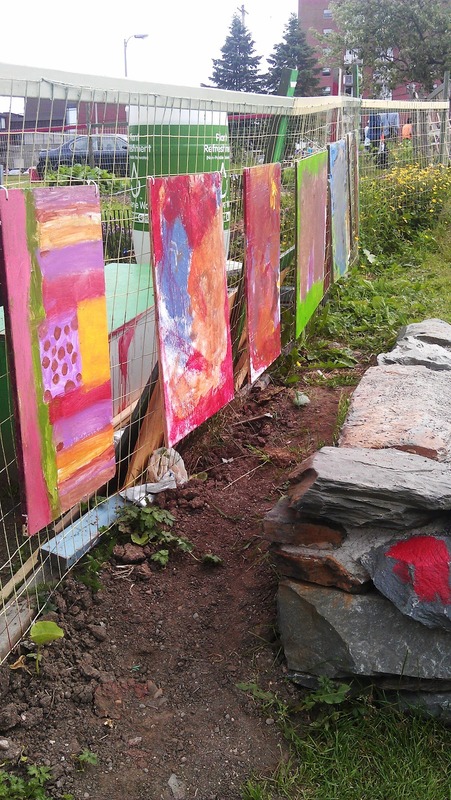 We worked with kids between the ages of 1-8 to make some beautiful abstract art, which is now being displayed on the garden fence. 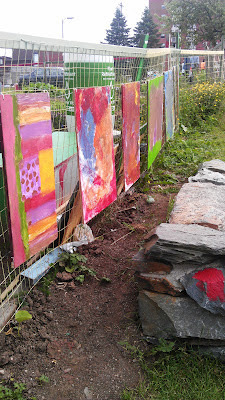 To see these creative works of art and learn more about this amazing space, check out this link: http://nechc.com/?page_id=434 or visit Uniacke Square on Gottingen Street. 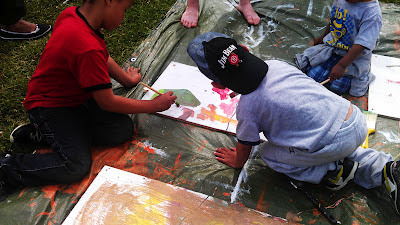 "If you mix every colour- you get brown!"